Karnataka Poll Predictions 2018 for may 12th election. 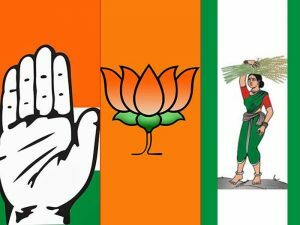 Know all the pre-poll predictions Karnataka assembly election 2018. Who will win the election? Earlier political parties were going door to door to make sure you knew where your polling booth was. Things are changing now. Every elections media likes to carry several poll predictions and then analyze them to confuse the voters further. We have compiled the Karnataka Assembly Elections Results for previous years. Karnataka assembly elections time is for campaigning for current and former Chief Ministers. It is not an easy task, especially in summer.